SoFA Sundays is a great artsy event taking place each month in Downtown San Jose. It is similar to South First Fridays, but goes down on the third Sunday of each month from noon to 4pm across the SoFA District. Museums and art galleries such as the ICA, MACLA, and The San Jose Museum of Quilts & Textiles will all be open and offering free admission. The event features plenty of entertainment such as live performances, chalk art, bocce ball, and some surprises. Of course there will be food, ice cream trucks, boutique coffee, and freshly pressed juices. A super cool and unique feature is free brunch delivery from the SoFA market to your seats in the event (powered by Cowgirl Bike Courier). This is also a great opportunity to see the new redesign of Parque de los Pobladores at William and South First St., which is centered around a concept of "urban rooms." Have a look at the first photo below for a taste of the concept. The next three SoFA Sundays are this Sunday, September 17th, and October 15th. Fore more details, check out the press release below or head over to their Facebook page. VIBRANT SoFA DISTRICT AT SoFA SUNDAYS – FREE! 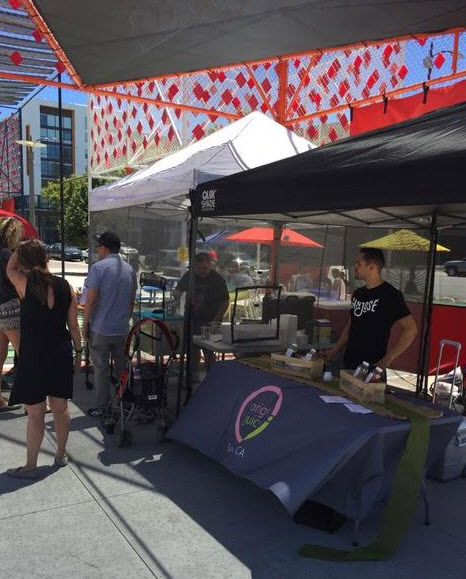 SAN JOSE, CA (August 10, 2017) – Downtown San Jose’s SoFA (South First Area) District, the center of creativity, is enjoying SoFA Sundays – a FREE event series celebrating the area’s vibrant arts scene – every THIRD SUNDAY from 12noon to 4pm. Art lovers can visit more galleries on Sundays, now that the San Jose Institute of Contemporary Art [560 South First] and MACLA/Movimiento de Arte y Cultura Latino Americana [510 South First] are open Sundays. The San Jose Museum of Quilts & Textiles [520 South First] is also open, and with a special ticket from SoFA Sundays, you can get in FREE. 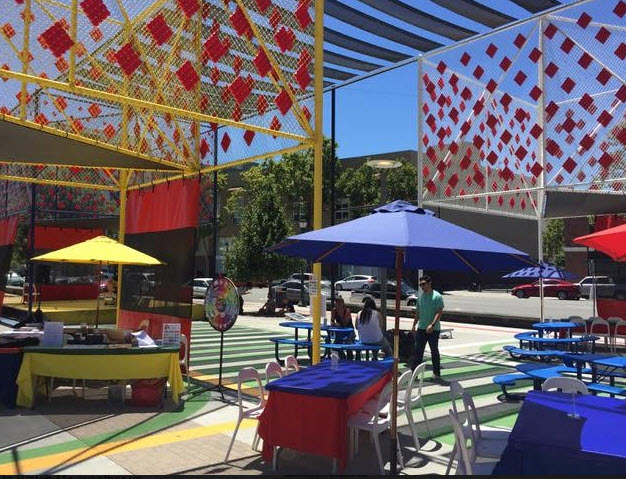 SoFA Sundays will highlight the fabulous “Urban Rooms” redesign of Parque de los Pobladores at William and South First, with ice cream trucks, chalk art muralist Clif Gold, and live sound healing performances with Jessica Neideffer. Plus there are lots of great prizes on our “Spinning Wheel of SoFA”, all from local businesses. New neighbor Academic Coffee will be there, tasting their cold brews as well as Origins Juicery on South First. Upcoming dates are: August 20, September 17, and October 15. BICYCLE BRUNCH DELIVERY? Sure why not. Thanks to SOFA Market and Cowgirl Bike Courier, you can now order your favorite brunch items at your seat, and have them delivered FREE! 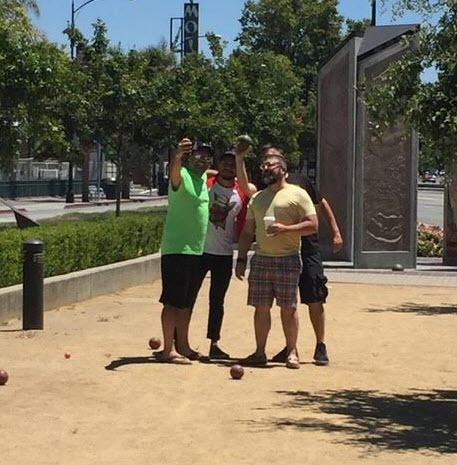 LOVE BOCCE? Let’s play in the dirt, the way the wise guys do in the old country. Real hardwood balls on a crushed gravel court. We take the game seriously. Special thanks to participating SoFA Sundays businesses: Academic Coffee, Origins Juicery, SoFA Market, San Jose Museum of Quilts and Textiles, Filco Events, SIGNET, and Salon Blu.